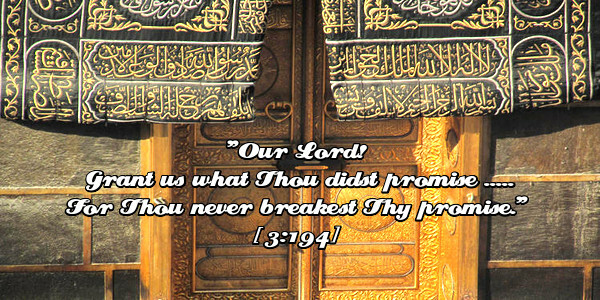 "O our Lord! Forgive us and our brothers (and sisters) in Religion who have preceded us in faith, and let not our hearts entertain any ill-feeling against any of the believers. O our Lord! You are All-Forgiving, All-Compassionate (especially toward Your believing servants). "Our Lord! Grant us what Thou didst promise unto us through Thine messengers, and save us from shame on the Day of Judgement: For Thou never breakest Thy promise."